Gregory C. Roberts graduated from Chamberlain High School in Tampa, Florida in 1977. He attended Stetson University earning a Bachelor in Business Administration in 1981. In 1984 he received his Juris Doctor from the University of Florida. 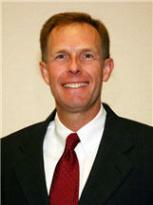 In 1984 he joined the law firm of Boone, Boone, Klingbeil, Boone & Roberts, P.A. In 1992 he established his own firm with partner Robert Klingbeil. His concentrations within the law practice are estate planning, probate, and real estate. Greg is a member of the Florida Bar, the Real Property, Probate and Trust Section of the Florida Bar, the Venice-Englewood Bar Association, and the Southwest Florida Estate Planning Council. His civic activities include the City of Venice Board of Zoning Appeals, a Director of Loveland Center (President, 1991), Kiwanis Club of Venice, Leadership Sarasota Class of 1989/90, and a member of the First Baptist Church of Venice. Stetson University, DeLand, FL, U.S.